There are no two voices of the calibre of Anne Gilpin and Robert 'Hacker' Jessett that couldn't be less alike, or fit more perfectly... Well, certainly not since Crystal Gayle and Tom Waits, Nick Cave and Kyle Minogue or even Joe Cocker and Jennifer Warnes. This vocal pairing forms the nucleus of cult legends Morton Valence, who have been around since the mid 2000s ploughing an idiosyncratic and extraordinary path, both artistically and within the industry. Once described by The Guardian as “just about the most intriguing band on these shores”, Morton Valence were pioneers of the fan-funded musical project, and helped set a template for the likes of Pledge Music and Kickstart. Their debut album, 'Bob & Veronica Ride Again', was packaged with a 110 page novella of the same name, they won the Fopp Award for 'Best New Band' back in 2006, scored a 'Record of the Week' on BBC Radio 2's Radcliffe and Maconie, as well as recording an album of covers in seven languages in the aftermath of Brexit. But over and above everything, Morton Valence have produced six astonishing and critically acclaimed albums, taking liberties with a variety of musical styles, effortlessly blending vocal harmony and lyrical poignancy through a unique filter of alt-country, lounge, electro and punk rock, creating an original hybrid they term Urban Country. But casting categories aside, at the heart of the Morton Valence, there has always been an overwhelming desire to create the perfect, timeless pop song, and in fact their torch song; 'Sailors', is described on the BBC website as “the best single you’ve never heard of the past decade". 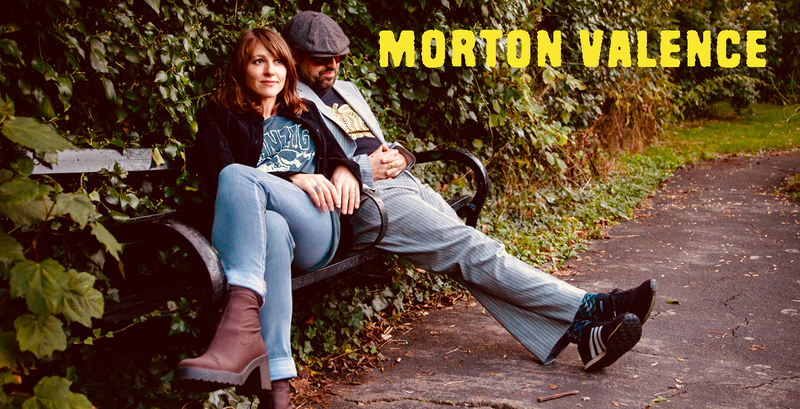 2019 sees no sign of Morton Valence slowing down, having just released a 6th full-length studio album entitled 'Bob & Veronica's Great Escape', which has garnered some great reviews along the way - including 4 stars in the March edition of Mojo magazine - we catch Anne and Hacker at their most introspective, reflective and stripped-down to date, unveiling a set of sublime songs set to an acoustic guitar, soaked in effortless harmony, insouciance and joy, offering respite from a world that is evermore angry and fractious, Bob and Veronica invite you to forget all that, and join them on their great escape.